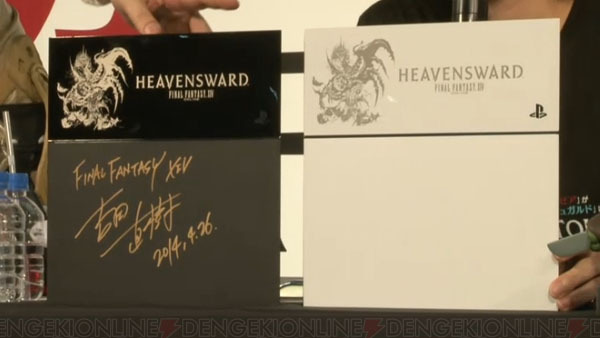 Sony Computer Entertainment and Square Enix will release a Final Fantasy XIV: Heavensward special edition PlayStation 4 bundle in Japan, Square Enix announced at Niocnioco Chokaigi in Chiba today. Pre-orders begin on Tuesday, April 28 at 11:00 a.m. JST. Final Fantasy XIV: Heavensward is due out for PlayStation 4, PlayStation 3, and PC on June 23. Watch a new benchmark trailer below.